A dance partnership can be one of the most rewarding connections you can make with someone. ... and with picture perfect technique. Okay, so maybe that's stretching things a bit. You know, just like that pair of latin pants right after the holidays? 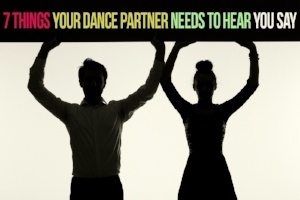 Let's look at 5 Arthur Murray Live articles that could save your dance partnership. Why it's worth a read: It's always easiest to keep quiet, to sulk, or bury frustration. Unfortunately, without communication, it's sowing the seeds for bigger problems in the future. "7 Things" gives you a template for starting that, which is why it made the top of this list. Why it's worth a read: The title of this could actually be "The Constitution for any Successful Dance Partnership". From a rock-solid dance practice outline to tips on recognizing the hard-to-spot areas of progress - this is a multiple must-read for any partnership. Why it's worth a read: Giving your partner "the business" may feel great in the moment, like flipping the bird at a bad driver, but is not really a great example of a best practice in life. This article helps to address some of the common practice mistakes ahead of time, complete with character names. This is a great way to pinpoint the behaviors and tendencies that could spoil your practice. Why it's worth a read: The majority of the headlines listed in this post could sound a little dour without further investigation. So this one is a great way to lighten things up. 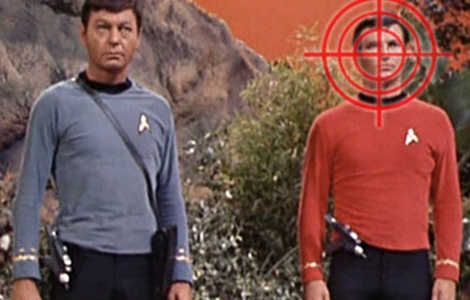 It's also a playful way to look at the Trek character that matches your dance personality. Why it's worth a read: All partnership bases are covered here. From practice to performance and all the good communication bits in between. In addition, since this list is extensive and unweighted (#25 is just as important as #4), it offers every dancer a chance to pick and choose the path that best suits their needs. A dance partnership takes hard work. And "work" doesn't just mean the dance part. Great duos in sports, entertainment, and life aren't internally perfect just waiting for an external adversary. They work internally so they are prepared for the external challenge. ... so they can move and interact as harmoniously as possible, as long as possible, until the next challenge comes along. And you can bet that when it does, there will be another article to read right here on Arthur Murray Live.